Serina Faist – Serina Faist is an artist from Bentonville that concentrates in acrylic, mixed media and photography. Color is a huge inspiration in her artistic style because it evokes emotion. Serina draws her inspiration from Rothko, Louise Nevelson, and Picasso. 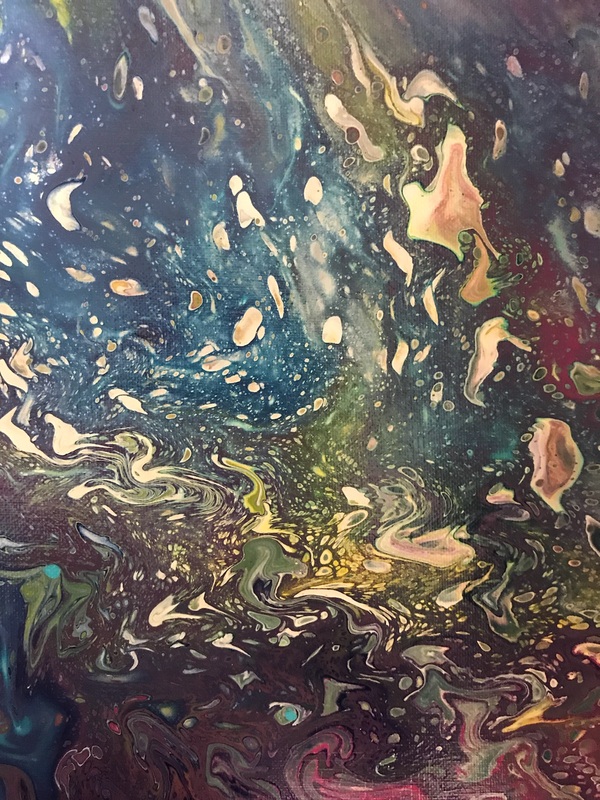 Her art featured at Fresh StART is acrylic pour paint technique that conveys an organic, free flowing style. This style creates one of a kind art pieces. In addition to painting, Serina creates collages with reused items because living sustainably is vital. Support fresh starts and purchase this art piece for a suggested donation of $40.